The length of time depends greatly on the type of space we tackle, how much clutter we’re dealing with, and your speed in making decisions. In general, offices take the longest time and closets can be the quickest. I work in blocks of 3 hours which is a good amount of time to make real progress, whatever the space. In between our sessions, I encourage you to take on ‘homework’ assignments to keep the momentum going. What preparations should I make? Should I buy some containers before we start? 1. Above all, you should be ready to commit the time and make the financial investment in order to save yourself time, stress and money for years to come. 2. To prepare for your session, I ask that you view my Working Agreement. 3. Great news: it’s not necessary to make any efforts to tidy up before we meet. In fact, it helps me to see your space exactly as it is. 4. As for buying containers, no, in fact, that’s the last thing you should do. We’ll have quite a bit of work to do before we can identify your storage needs: this part comes almost at the end of each project. So what about supplies we might need? Together, we’ll identify your need for new purchases, both for functional storage and any styling accessories you’d like to add to the space. It’s up to you whether I shop for these items alone, or whether you join me for one of my popular Shop with an Organizer trips. And naturally, you can make purchases on your own, too. In almost all cases, yes please. We’re aiming for a solution which meets your individual needs, giving priority to the items which are important to you and used often. Nobody else can make that call. It’s perfectly possible to get organized without getting rid of items. However, almost all of us – yes, me included – keep way too much clutter around us. You’ll see much more dramatic results, and faster, if you are prepared to let things go. We’ll talk about your options for that, and the final decision on getting rid of every single item will be yours alone. How will I stay organized afterward? The difference between good organizing and great organizing is in finding a system which is tailored to work for you http://www.medheraut.com. I’ll pay careful attention to your needs and requirements in recommending practical, effective solutions. Moreover, as we work together, I’ll be giving you tips and suggestions for staying organized. In addition, many clients find an occasional follow-up visit can be very worthwhile. Will working with you be like one of those TV shows? Yes, and no. TV shows usually involve large teams, take about 32 hours of filming and condense it into 22 minutes of dramatic and emotional action. You will likely find our work to be more gently paced, with less drama. I will not push you into decisions which make you uncomfortable, and I won’t spread your possessions all over the sidewalk. You might enjoy this article, which explains more. 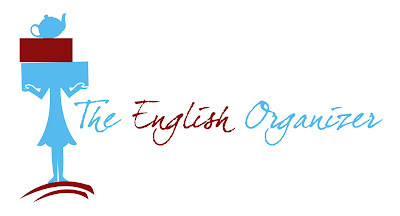 Why are you called the English Organizer? I spent 30+ years of my life in the UK before moving to the Bay Area in 2004. As a result, gentle British humor is added to our sessions at no extra charge. Did I miss one of your burning questions? Contact me and I’ll gladly add it to this page or answer it on the blog.